The vice presidential debate, moderated by Quijano, will take place at Longwood University in Farmville, Virginia, on October 4. "These journalists bring extensive experience to the job of moderating, and understand the importance of using expanded time periods effectively," Commission co-chairs Frank J. Fahrenkopf, Jr. and Michael D. McCurry said in a statement. "We are grateful for their willingness to moderate, and confident that the public will learn more about the candidates and the issues as a result." Brian Fallon, a spokesman for Hillary Clinton, said the campaign was "extremely grateful to the bipartisan commission for its continued work in preparation for the debates." "Hillary Clinton is looking forward to participating in the debates, as she believes they are an important proving ground for anyone seeking to be Commander in Chief," he said. "Especially given that Fox has been selected to moderate a debate for the first time ever, it's time for Donald Trump to end his debate shenanigans and formally agree to debate." Trump made it more challenging than ever. The last thing the Commission wanted was for the moderator to become part of the story leading up to a debate. Yet Trump's aggressive attacks on the media and complaints about unfair treatment effectively guaranteed that the moderators would come under scrutiny from conservatives. The commission sought candidates who -- in addition to being qualified and capable of moderating a debate -- have a reputation for being fair and evenhanded and have no record of controversy with either candidate. "The job description is to be both a journalist, a moderator, and a circus navigator, I think. The job involves doing many things, which is why this is so difficult," former CNN Washington bureau chief Frank Sesno said on "Smerconish" last week. "They have got to not be intimidated by cameras and knowing that maybe a billion people around the world are watching this thing. So there's a great deal of pressure and a great deal of sort of real-time thinking that goes into this job. Not everybody can do it," Sesno said. "Very few can, really." The first and third presidential debates "will be divided into six time segments of approximately 15 minutes each on major topics to be selected by the moderator and announced at least one week before the debate." 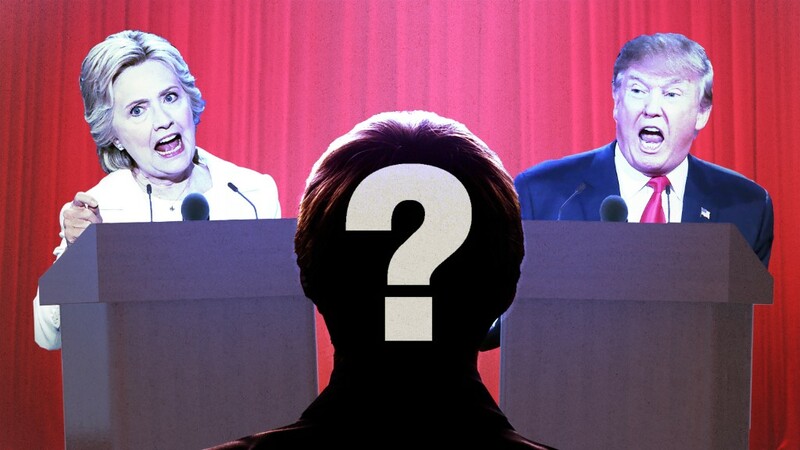 The second presidential debate "will take the form of a town meeting, in which half of the questions will be posed directly by citizen participants and the other half will be based on topics of broad public interest as reflected in social media and other sources. ... The town meeting participants will be uncommitted voters selected by the Gallup Organization." The vice presidential debate "will be divided into nine time segments of approximately 10 minutes each." "The formats chosen for this year's debates are designed to build on the formats introduced in 2012, which focused big blocks of time on major domestic and foreign topics," Fahrenkopf and McCurry said.